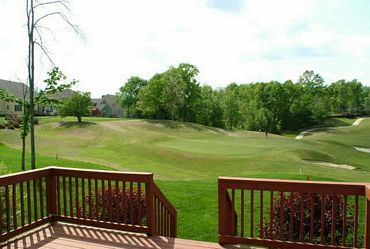 Skybrook Golf Homes for Sale in Huntersville, NC are considered one of Charlotte's best golf course communities. The Championship course opened in 2000. 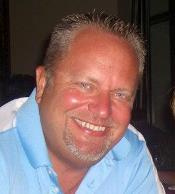 It is known for it rolling fairways and beautiful scenic views as it winds its way through the Skybrook neighborhood. The Skybrook Golf Club course covers over 7,000 yards of remarkably mountain-like terrain. This par 72 golf course has six sets of tees to challenge the skill level of every golfer. The constant elevation changes and large landing areas provide a friendly game of golf for everyone who plays. The amazing homes for sale at Skybrook Homes in Huntersville, NC has all the amenities that you can think of to enjoy. As stated, the golf course is the staple of this community. But more than that is an amazing swimming facility with 4 different pools with a 165 foot waterslide. There are also two parks with shelters and grills for picnics with large fields for sports activities such as football or soccer; along with basketball & tennis courts, and sand volleyball pit. There is also a nice lake located on property for your walking and viewing pleasure. A brand new fitness and aquatic center just outside the community for memberships is also available as part of this wonderful Huntersvile Subdivision. The NorthStone Country Club is a private club that is part of the very impressive array of Northstone Homes for Sale in Huntersville, NC. It is at the center of the Northstone Country Club Homes for Sale community. The location is convenient to Charlotte and Lake Norman living. 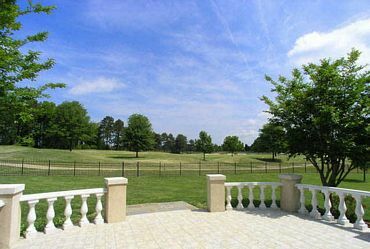 NorthStone Country Club is situated on 237 acres of beautiful land in rural Huntersville. This course will impress any golfer and player of the game with strategically placed bunkers, greens and fairways. There are a variety of strategic angles of play because of the multiple tee boxes for golfers of all skill. NorthStone Homes is perfect for those who like to lead an active lifestyle, as there is plenty for you to do within the community. While living here you can enjoy a bike ride or walk through the beautiful neighborhood. By joining the NorthStone County Club, you will have access to the community pool, tennis & basketball courts as well as the fitness center. A Day Care service is also available if you have a young family. This is the perfect community for an active lifestyle and only minutes away from Lake Norman. 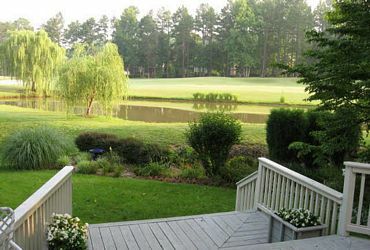 The River Run Country Club in Davidson, NC is a private, 18-hole; 7,082 yard facility that is the focal point of the River Run Homes in Davidson, NC, which is just twenty minutes north of downtown Charlotte and ten minutes from Lake Norman. 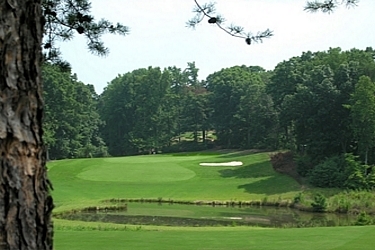 The course opened in 1990, and was designed by Robert Walker and Raymond Floyd. River Run has gentle rolling hills, tree-lined holes, many bunkers and water in play on nine of its holes to challenge any golfer. The course is best known for its final four difficult holes to play. River Run Homes has a wonderful summer season because of the fantastic pool for friends and family to enjoy. A new Lazy River and giant pool slide is just part of the whole amenity package that makes up this perfect place to live for those seeking an active community lifestyle. River Run also has a State-of-the-Art Tennis Facility with 16 courts with lighting for night play. This is a community in Davidson, NC that cannot be denied. Click to view: River Run Country Club Golf Homes for Sale in Davidson. The Birkdale Golf Club is designed by Arnold Palmer that is a public facility with a "private club" atmosphere. 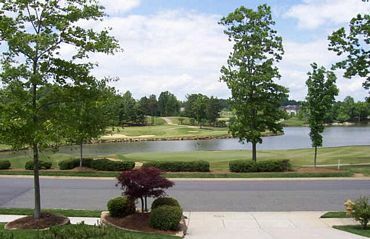 The Birkdale Homes in Huntersville, NC help make up the 200 acres of rolling fairways, tall pines and natural streams. Birkdale is a challenging 7,013 yard, par 72 course made up of Bermuda fairways and Crenshaw bent grass greens that is perfect for all active or beginning golfers. The Birkdale Golf Club Homes for Sale in Huntersville, NC are one of the area’s most sought after active life-style communities to live in. 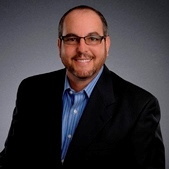 There are many homes and styles to choose from to make any home buyer happy. This Huntersville location is very exciting with its location to the very popular Birkdale Village of shops, restaurants and movie theater. 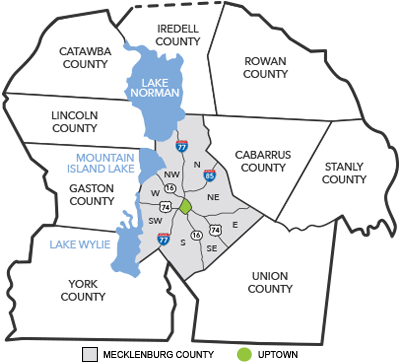 This is a main stream of social activity for Lake Norman residents as you are only minutes away from the lake. The Point Lake and Golf Club is situated on the shores of Lake Norman real estate that is nearly 45 minutes from downtown Charlotte, N.C. 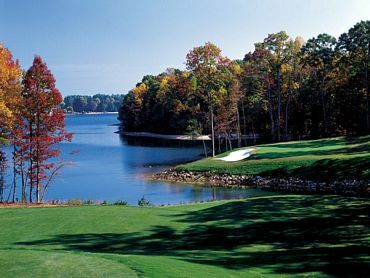 The Point Homes in Mooresville, NC sit along the course designed by Greg Norman that has been described as "inspiring" by many as more than two-thirds of the holes play directly along or over the water on this beautiful, varied course, which presents challenges to golfers of all skill levels. The Point Golf Homes for Sale in Mooresville, NC make up one of the two premier Golf Course communities of Lake Norman Living. Here you will be among the secluded and yet lavish lifestyle that many people are looking for today. The Point offers many lavish homes that will make any home buyer blush. This is truly an exclusive place to live for those who want a Lake Norman Home to be proud of. The Peninsula Golf Club Homes for Sale in Cornelius, nc are part of the private course on Lake Norman Real Estate Homes for Sale in Cornelius, NC. The Peninsula Club has a wonderful 18-hole course designed by Rees Jones, a leading golf course architect. The course has challenges for all players of every skill set. The course design blends the natural terrain and wonderful home views. 16 holes actually feature a lake view while many holes play over or along side the water. The Peninsula Club's swimming pool overlook the beautiful Lake Norman. This part of the complex has two swimming pools. One is designed especially for children because of its own water park playground. Besides the pools, there are eight clay courts, a tennis pro shop, locker rooms and an exercise room, along with a wonderful poolside snackbar the quench your thirst or hunger. The Peninsula Homes in Cornelius is a premier location for Lake Norman Single-Family Home living as well as some of the best Lake Norman Waterfront Homes for Sale in the area. There are so many homes that will blow you away as you travel around this community by car or by boat. 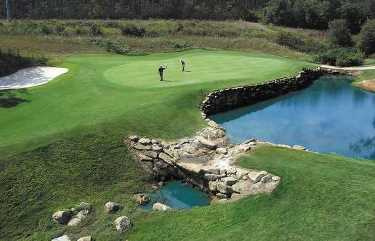 I know you will enjoy this spectacular golf course. Westport Golf Course Homes for Sale in Denver, NC are a delight in Denver, NC. This location is on the East side of Lake Norman Real Estate for Sale and helps make up one of the seven great Lake Norman Golf Communities. Besides Golf Homes, there are some stylish and older Westport Waterfront Homes for Sale. Westport Golf Club is a true delight for players of all abilities. As you play your way through beautiful tree lined fairways set amidst the rolling hills of Lake Norman, you will be treated to a layout that has been touted for years by amateurs and professionals alike as one of the best designs in Charlotte. Best yet, it has some of the greatest prices around. Please view all of the Westport Homes for Sale in Denver, NC. 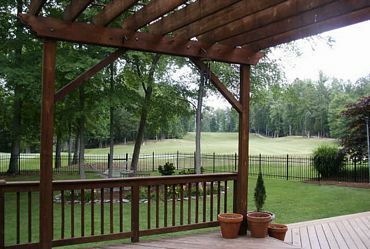 Cowans Ford Golf Course Homes for Sale in Stanley, NC is a Lakeside Country Club along Lake Norman and part of Stanley, NC Homes for Sale. Built in 1963, Cowan’s Ford Golf Club is one of the top private, member-owned golf clubs in the Lake Norman area (just northwest of Charlotte, North Carolina). Located on the southwest shore of Lake Norman, the clubhouse includes a banquet room, grille, cozy lounge, card room and a full service pro shop. The outstanding 18-hole par 72 golf course is open year-round for members to either walk or ride. Men, women, senior men and children enjoy very active golf leagues as well as special golf programs and clinics conducted by PGA golf professionals.